We are planning the most incredible experience this July in Marfa. For 5 magical days we will celebrate women, creation, connection & ALL OF US moving forward. Stayed tuned as we reveal our full menagerie of films, art, music, installations and special surprises! 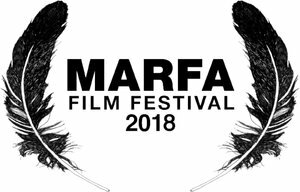 This year the Marfa Film Festival is dedicated to honoring women. While the festival will show films from all genders, MFF is dedicated to creating programming and experiences that further the empowerment of females in creative industries. In light of the current movement, we bring attention to women in film. We honor and celebrate their accomplishments. WE WERE BLOWN AWAY BY THE FILMS SENT TO US...WE ARE SO EXCITED ABOUT THIS YEAR! 93QUEEN Paula Eiselt DOC FEATURE| Texas Premiere, 84mins. AARON Aviva Neuman SHORT | USA | Texas Premiere, 12mins. AMERICAN DREAM Alexia Oldini SHORT | USA | Texas Premiere, 12mins. AN AMERICAN IN TEXAS Anthony Pedone NARRATIVE FEATURE | USA | 97mins. BEST F(R)IENDS Justin MacGregor FEATURE | USA |102mins. BEST OF ALL WORLDS Adrian Goiginger FEATURE | AUSTRIA | 104mins. BODIES OF WATER David Lykes Keenan SHORT | USA | West Texas Premiere, 14mins. BRING WATER Dustin Wright SHORT | USA | 18mins. CHRIS FRANCIS : SHOES Virginia Hunter Lee SHORT DOC | 15mins. DEPORTING MYSELF Julia Neumann SHORT DOC | USA | Texas Premiere, 12mins. DER DUNKLE REIGEN Dominik Bücheler SHORT | AUSTRIA | 29mins. DESSERT-DISASTER Alison Nguyen SHORT | USA | Texas Premiere, 4mins. DYKES, CAMERA, ACTION! Caroline Berler FEATURE | USA 59mins. EL AGUACATE Darwin Serink SHORT | USA | 11mins. END OF THE LINE Jessica Sanders SHORT | Texas Premiere, 15mins. ENTELECHY Ariana Delawari SHORT | USA | 10mins. EXILE Danielle Davis SHORT | USA | World Premiere, 13mins. FILL YOUR HEART WITH FRENCH FRIES Tamar Glezerman SHORT | USA |Texas Premiere, 20mins. FIRST GENERATION Jeannie Nguyen SHORT | Texas Premiere, 10mins. FORGET ME NOT Florine & Kim Nüesch SHORT | SWITZERLAND | World Premiere, 15mins. FULL WAVEFORM INVERSION David Nast Cole SHORT | USA | Texas Premiere, 4mins. GREAT WIDE OPEN Jaime + Bomba, Paul Effros SHORT | World Premiere, 12mins. GUNI GUNI ‘BONES' Robert Clyde Grimae + Sonia Manalili MUSIC VIDEO | USA | 4mins. HEARTSTRUCK (WILD HUNGER) - HAMILTON LEITHAUSER The Simonites MUSIC VIDEO | 3mins. HASHTAG PERFECT LIFE Mike Paulucci SHORT | Texas Premiere, 12mins. HUMAN SUN Carl Bird McLaughlin SHORT | USA | World Premiere, 13mins. I [ART] MARFA : JULIE SPEED Sébastien Carayol and Katie Callan SHORT | FRANCE | USA Premiere, 6mins. I HEART NY Andre Andreev SHORT DOC | USA | 6mins. IJAZEH Waleed Alqahtani SHORT | USA | Texas Premiere, 7mins. INSTINCT Maria Alice Arida SHORT | USA | Texas Premiere, 18mins. JESSICA JESSICA Jasper Savage SHORT | CANADA | 13mins. LAVOYGER Rachel Bardin SHORT | USA | 24mins. LETS TALK Rachel Klein SHORT DOC | USA |USA Premiere, 8mins. LIFE IS FARE Sephora Woldu FEATURE | USA | 61mins. LIKE SALT Darine Hotait SHORT | USA | USA Premiere, 25mins. LIKE WATER FOR CHOCOLATE Alfonso Arau FEATURE | MEXICO | 123mins. LIONS OF WEST TEXAS Ben Masters SHORT | USA | 8mins. LOCKED OUTSIDE Ross Richardson SHORT | FRANCE | Texas Premiere, 7mins. LOLA: GIRL GOT A GUN Emily Elizabeth Thomas SHORT | USA | Far West Texas Premiere, 15mins. MASK WORLD Francisco Castaneda SHORT | USA | 10mins. MATA LAYA PATA Kevin Vu SHORT | USA | Texas Premiere, 12mins. MAYA : RITES OF SEMBLANCE Maya Deren, Programed by KB Thomason | 75mins. MILK AND COOKIES Andrew Ramsey and Patrick Mulvey SHORT | USA | 8mins. NARCISSISTER ORGAN PLAYER Narcissister FEATURE | USA | 93mins. OBLIVION VERSES Alireza Khatami FEATURE |FRANCE, GERMANY, NETHERLANDS, CHILE | Texas Premiere | 93mins. ODE TO JOY Michael Koshkin SHORT DOC | USA | Texas Premiere, 12mins. ONE EYE SMALL Jane Stiles SHORT | USA | 9mins. (OUT)CASTE Shilpi Shikha Agrawal SHORT | USA, INDIA | Texas Premiere, 23mins. PERDÓNAME Tani Shulz SHORT | USA | 13mins. PHANTOGRAM 'FUNERAL PYRE' Gianluca Minucci MUSIC VIDEO | USA | 5mins. PINK LEMONADE Christian Sprenger SHORT | Texas Premiere, 16mins. POCKET SIZED FEMINISM Valerie Shenkman SHORT | USA | Texas Premiere, 4mins. PURVIS OF OVERTOWN Shaun Conrad and David Raccuglia FEATURE | USA | 107mins. PSYCHIC Dana Sorman SHORT | USA | World Premiere, 13mins. RISK TAKER Trey Whitaker TRAILER | USA | World Premiere, 3mins. SAMPLES OF SOCIETY - GETTING SERVED BY NEW YORK Hal Samples,Joseph Santori ANIMATED SHORT | World Premiere, 4mins. SAMPLES OF SOCIETY - SCRAP IRON Hal Samples + Joseph F. Santori ANIMATED SHORT | World Premiere, 5mins. SECRET DRUM BAND DADADA Liz Vaughan MUSIC VIDEO | USA | 4mins. SCENT OF GERANIUM Naghmeh Farzaneh ANIMATED SHORT | USA | 5mins. SEXXY DANCER Jessie Makinson SHORT | USA | World Premiere, 6mins. SIN CIELO J.S. Maarten SHORT | USA | 25mins. STORIES OF REFUGE Caleb P. Hobart SHORT DOC | World Premiere, 32mins. SWEET 16 Tina Rivera TRAILER | USA | 2mins. THE LEGEND OF BILLIE JEAN Matthew Robbins | USA | 96mins. THE GOOD FROM THE BAD Edward Tyndall SHORT | USA | 17mins. THE FUTURE IS BRIGHT Courtney Powell SHORT | USA | Texas Premiere, 10mins. THE SWEETEST KISS Alina Landry Rancier EXPERIMENTAL SHORT | Dominican Republic | USA + TEXAS Premiere, 4mins. THIS LAND Alan Thompson FEATURE DOC | USA, Mexico, Canada | Texas Premiere, 58mins. THREE AUGUST DAYS Madli Lääne SHORT | ESTONIA | USA + Texas Premiere, 21mins. TO WENDY WHO KICKED ME WHEN I SAID I LOVE YOU Dan Castella SHORT | UK | Texas Premiere, 10mins. TO BE FREE Adepero Oduye SHORT | USA | Texas Premiere, 12mins. TODAY Rebekah Wiggins SHORT | USA | 18mins. TORTOISE Stephen Dwyer SHORT | USA | Texas Premiere, 11mins. TRAUMA IS A TIME MACHINE Angelica Zollo FEATURE | USA | South West + Texas Premiere, 83mins. TWO BLACK COFFEES Michael Daniele Driscoll SHORT | CZECH REPUBLIC | Texas Premiere, 8mins. UNDER HER SKIN Kelsey and Rémy Bennett SHORT SERIES FEATURE | USA | 50mins. WHITESANDS Robert Frantzeskos SHORT | AUSTRALIA | 15mins. YOU GO TO MY HEAD Dimitri de Clercq FEATURE | FRANCE, GERMANY, BELGIUM | West Texas Premiere, 116mins. • Join our MAILING LIST to receive special updates and offers.